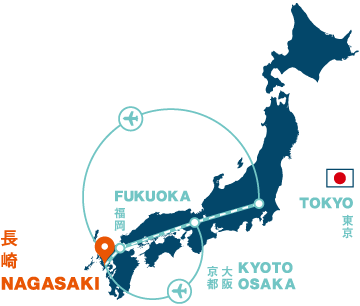 * From JR Nagasaki Station, 15 minutes on foot, or 10 minutes by streetcar. 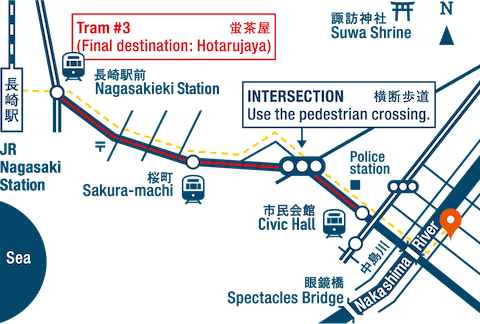 Take the number 3 streetcar (headed to Hotarujaya-蛍茶屋) and get off at Civic Hall station. Walk straight along the road without streetcar tracks, towards Nakashima River. Cross the bridge, and turn left. 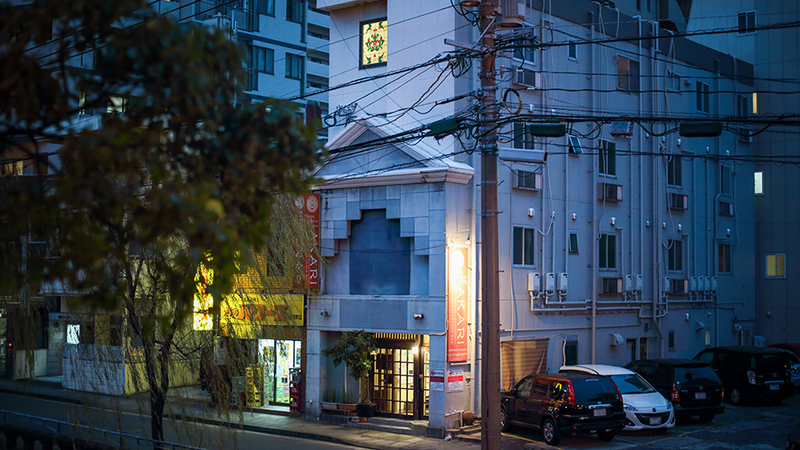 On the right, you will see a four-storey building with orange "AKARI" signs.